Billie, do be a hero. Next week, look out for new albums and EPs from Khalid, Sara Bareilles and more. For Adam’s personal picks of the week, listen to the PGTC Friday Faves list on Spotify! When your imprint has three of the top 20 singles at both Rhythmic and Urban radio, I’d say you’re doing pretty well for yourself. That’s indeed the case for this 40-year-old DJ/producer from Miami, who will likely reach the top of the iTunes listing faster than you can shout “WE THE BEST MUSIC!” Major key for this release: selling enough copies to defeat Drake‘s Views. Owen’s fifth studio album features the single “American Country Love Song”, which is rising in the top ten at Country radio. He’s certainly the patriotic performer this era, and he’ll likely have a top 20 entry on the Billboard 200 chart. It’s been 12 years since Barrino became the third American Idol, and this week, she’s back with her fifth studio album. The current single from it is “Sleeping With The One I Love”, a top 20 record on the Urban AC survey. We’ll see you next week for new releases from Chris Lane, DJ Snake, O.A.R. and more. 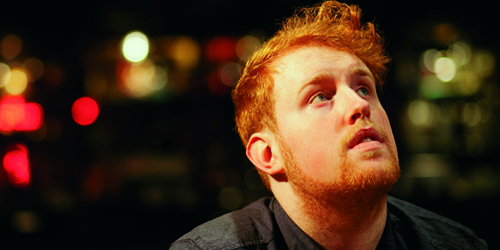 We have a new one at the top this week as Dublin’s Gavin James rises 2-1 in his 13th week in the top 40 with “The Book Of Love”. James is the first Irish act to make it to the top spot with their first entry on my survey since The Script‘s “The Man Who Can’t Be Moved”, an eight week #1 back in 2009. Additionally, it is the first cover song (the act The Magnetic Fields did the original) to reach #1 since 2003. That’s when Sixpence None The Richer‘s “Don’t Dream It’s Over” (recorded by Crowded House in 1986) had a three-week run there. You can find the single in its original form on the EP For You and in a version recorded in concert on the album Live At Whelans. Last week, John Newman‘s “Come And Get It” was tied for the week’s Biggest Mover with a leap of seven notches to #22, but that same move this week (rising to #15) earns him the title all his own. That new peak lands him one spot away from his biggest chart single to date, “Losing Sleep”, which went to #14 in February of last year. Newman’s song also looks like it will be big on the official chart in the U.K., where it’s currently in the top three on iTunes. Carly Rae Jepsen recently spent a week at the top on my personal chart with “I Really Like You”, and while that descends the top 40, the liking continues for the second single from her forthcoming album E•MO•TION. “Run Away With Me” is the week’s Highest Debut at #39 and is scheduled to impact pop radio on Tuesday. A video recently premiered for the track. Also new this week is the second charting single for the quartet based in Amsterdam who call themselves Causes. “Walk On Water” is in at #40, while their former #2 hit, “Teach Me How To Dance With You”, holds in position at #7. The band inked a deal with RCA Records in the U.K. a few days ago. We’ll see if the U.S. is next. Still jamming to the Jukebox. Not many chart tunes can claim the Biggest Mover title for three weeks in a row, but that’s exactly what “Pressure Off” from Duran Duran and featured acts Janelle Monáe and Nile Rodgers is doing. Three weeks ago, the song debuted at #40, then moved to #32, to #22 and now it’s up another seven spots to #15. It’s been a crazy ride so far and it’s certainly not over yet. “Pressure” ties with John Newman‘s “Come And Get It” for the honor this week, as “Come” rises 29-22. The highest of this week’s two debuts comes from trio Life Of Dillon and their second single from the EP titled Prologue. “Overload”, their former #2 hit, falls out of the countdown this week, but the three replace themselves with “Dreams”, new at #39. It’s just starting out at Hot AC radio, where it’s already picked up detections on seven outlets. The act will be playing in St. Louis and San Antonio in the next few days. Six weeks ago, I wrote a little about Daya in the monthly Radio Report as her debut single edged closer to its impact date at pop radio. (You’ll recall that it was first played on SiriusXM’s Venus on April 30, which got the ball rolling.) The 16-year-old newcomer debuts at #40 on my chart with “Hide Away”. Things are only going up at both radio and retail, so look out for it. This week’s top ten is pretty active with several songs headed upward, including two tracks entering into the region. Up 11-9 is newcomer ROMANS with “Uh Huh”, now officially impacting Hot AC radio in the U.S. in two weeks. Also up two spots is the latest from Kelly Clarkson, “Invincible”, moving 12-10. She’ll be looking for her third #1 with the song that is now her 17th top ten hit on my chart. The California group named Family Of The Year has this week’s Highest Debut, coming in at #39 with “Make You Mine”. 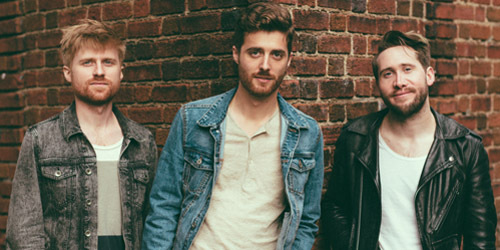 It’s the first single from their forthcoming self-titled album, due September 4. It’s also their first release to make my top 40 since the fall of 2013, when former top ten “St. Croix” (#7) fell out of the survey. One notch below them is Jake Owen‘s “Real Life”, new at #40 this week. The Florida performer has been making Country hits since 2006, but this is his first to break my chart. It has a strong mid-to-late 90’s Alternative radio production to it, and that could lead to some big crossover play soon. Stay tuned. Next week should see at least two debuts lighting up the chart, with potential second hits from two bands, Causes and Life Of Dillon, looking like frontrunners at the moment. Could newcomers Daya or The Heydaze steal one of those coveted slots? Find out on Sunday. Next one on my Brit list. On the Christmas circuit this week, check out the fourth Christmas compilation from the cast of Glee (iTunes) as well as Leona Lewis‘s Christmas, With Love (iTunes), featuring single “One More Sleep”. Other albums out this week include Boston‘s Life, Love & Hope (iTunes), Glen Hensard‘s Drive All Night (EP) (iTunes) and a third television soundtrack from the show Sons Of Anarchy (iTunes). R. Kelly is next week’s big release, along with Childish Gambino and a Season 2 soundtrack to ABC’s Nashville. How will they do? A preview is coming in seven.